Say goodbye to those annoying drips, stained ceiling tiles, or overflowing five-gallon buckets. Throughout the years, Systems West has worked with many clients to fix their leaky roofs with our Butler MR-24 standing seam roof system. 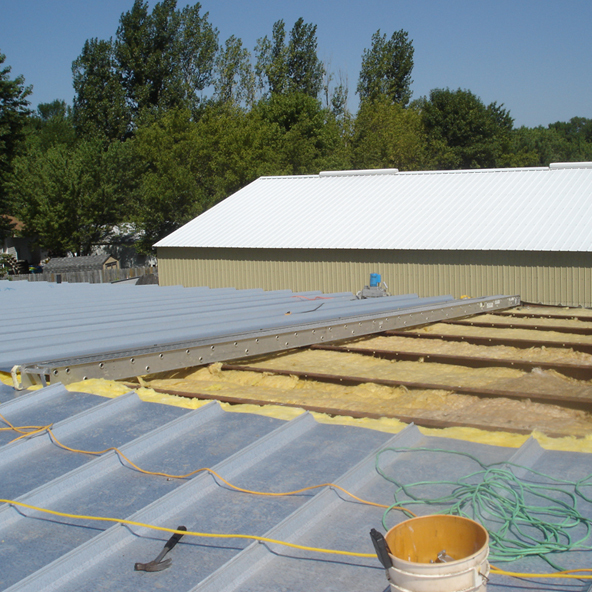 Like our company, the MR-24 Roof System passed the ultimate test of time and has been around since the 1960s. The combination of Systems West’s commitment of standing behind our products and services and Butler’s industry leading roof warranty, your roof can have a 40-year lifespan with minimal maintenance. How old is that leaky roof you have now?